When the Israelites came out of Egypt, they had an opportunity to go straight into the Promised Land. They had sent twelve spies to see what the land was like. Upon there return, however, ten of the spies brought a bad report. They were anxious about their ability to conquer the land because the enemy was so great and the fact that they lived in walled cities. This reluctance to go up into the land were because of their worries and fears. This doubtful spirit infected the people. God decided they were not ready to go. Nevertheless, the people who live in the land are strong, and the cities are fortified and very large; and moreover, we saw the descendants of Anak there. 29 Amalek is living in the land of the Negev and the Hittites and the Jebusites and the Amorites are living in the hill country, and the Canaanites are living by the sea and by the side of the Jordan. 30 Then Caleb quieted the people before Moses, and said, We should by all means go up and take possession of it, for we shall surely overcome it. 31 But the men who had gone up with him said, We are not able to go up against the people, for they are too strong for us. 32 So they gave out to the sons of Israel a bad report of the land which they had spied out, saying, "The land through which we have gone, in spying it out, is a land that devours its inhabitants; and all the people whom we saw in it are men of great size. 33 There also we saw the Nephilim (the sons of Anak are part of the Nephilim); and we became like grasshoppers in our own sight, and so we were in their sight." 1 ¶ Then all the congregation lifted up their voices and cried, and the people wept that night. Because of this, the Israelites wandered in the desert regions for a literal forty years until all but the two with a good report had died. Caleb was one of the two good spies. He had an overcoming spirit. How do we know? In Numbers 13: 28-14:1 (sidebar) we read the spies' report. Note how Caleb told them that they "shall surely overcome it." 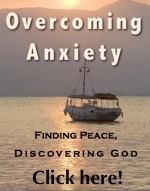 This overcoming spirit was a persevering one. Even after forty years, Caleb was still going strong. Once they got to the land, we see Caleb coming before the leaders making a request that would shock everyone. Let's look at the five different points that displayed his overcoming spirit. Caleb never forgot God's promise. He could easily or conveniently forgotten it even after 45 years had passed. No one would be thinking of taking down the headquarters of the Anakim in the fortress mountain city of Hebron (see 2 on map above). They had the whole land to go after. Caleb individually requested Hebron when dividing the land (Joshua 14:12). Caleb had to go out of his way to get this place. ( For full text of Joshua 14:6-14). Now then, give me this hill country about which the LORD spoke on that day, for you heard on that day that Anakim were there, with great fortified cities; perhaps the LORD will be with me, and I shall drive them out as the LORD has spoken. Caleb wanted to go to the exact place that scared the spies (Joshua 14:12). Caleb was deliberately showing to all that God was able. Caleb was old. Caleb was now 85 years old. He didn't care about an easy retirement! Caleb would have a big fight ahead of him. The Anakim were still there. There was a great liability with this inheritance. It was not his yet. He could easily die trying to get it. Caleb lived by faith not by fear. He lived by promises not by sight. He lived for victory not for ease. Caleb lived by the power of God, not by his human strength. The principle is that God will at times put us in circumstances that we ourselves are not able to handle. God wants to see whether we will trust Him or not. God's intention is to show His great power and produce in us a testimony of praise. Then the sons of Judah drew near to Joshua in Gilgal, and Caleb the son of Jephunneh the Kenizzite said to him, You know the word which the LORD spoke to Moses the man of God concerning you and me in Kadesh-barnea. I was forty years old when Moses the servant of the LORD sent me from Kadesh-barnea to spy out the land, and I brought word back to him as it was in my heart. Nevertheless my brethren who went up with me made the heart of the people melt with fear; but I followed the LORD my God fully. So Moses swore on that day, saying, 'Surely the land on which your foot has trodden shall be an inheritance to you and to your children forever, because you have followed the LORD my God fully.' And now behold, the LORD has let me live, just as He spoke, these forty-five years, from the time that the LORD spoke this word to Moses, when Israel walked in the wilderness; and now behold, I am eighty-five years old today. I am still as strong today as I was in the day Moses sent me; as my strength was then, so my strength is now, for war and for going out and coming in. Now then, give me this hill country about which the LORD spoke on that day, for you heard on that day that Anakim were there, with great fortified cities; perhaps the LORD will be with me, and I shall drive them out as the LORD has spoken." So Joshua blessed him, and gave Hebron to Caleb the son of Jephunneh for an inheritance. Therefore, Hebron became the inheritance of Caleb the son of Jephunneh the Kenizzite until this day, because he followed the LORD God of Israel fully.